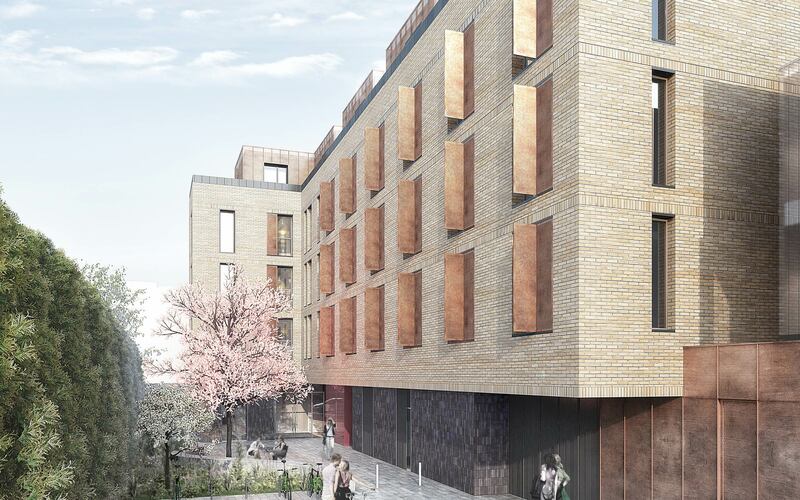 Planning permission was granted for a mixed use development, comprising retail space at ground floor and 89 student residential dwellings above, in the Royal Borough of Kingston upon Thames. The architectural language of the small scale 2-3 story block located on Penrhyn road combines features of the existing streetscape such as a pitched roof and brick façade with modern, minimalistic detailing. The slightly taller 4-5 storey block occupying the centre and rear of the site has been kept simple and traditional in form, with the main articulation created by the setback roof level which creates an interesting roof line. Privacy fins and recessed panels along windows create finer detailing and interest across the façades. A small courtyard is created providing amenity space for residents.